The Garden Center Group (The Group) is an alliance of garden centers, consultants, service providers and preferred vendors who work together creating a community of professionals with one goal in mind...helping each other build successful companies. We believe that the success of The Group is dependent on the success of each participating company. When you join The Group you'll have access to some of the industry's leading experts on business management issues along with dozens of garden center owners from across the country; centers facing the same business concerns as you on a daily basis. From marketing to merchandising...budgeting to employee concerns, The Group offers a way for you to develop your business while reducing the time and trials of doing it alone. The secret is knowing just what to do and when to do it, then pulling things together to make it all happen. This is what The Group is all about... helping you achieve your goals one garden center at a time. 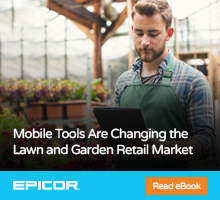 The Garden Center Group was created to provide a full-service menu of expert advice that deals directly with the most important business functions facing garden centers today and in the future. We knew that would mean bringing together experts from within the garden center industry as well as professionals from other fields. The result is a network of professionals with specific talents that provide garden centers with the most innovative ideas and solutions in the industry... proven methods that take the guesswork out of important business decisions.